Competitors:Carryout a comprehensive feasibility study and analysis of competitor websites around your niche. Study how they present their content, choice of keywords, monetization methods e.t.c. If properly done, this would give you an edge and help you choose the best possible website monetization method. Audience: Using the wrong advertising type or failing to take users’ privacy concerns into account can actually result in a reduction of traffic in the long term, so it’s important to know what can and can’t work for your business. We are going to take a look at 6 of the very common methods on how to monetize a website , and also with valuable tips and guidelines to help you choose the best suited options for your business. Monetizing a website with Ads remains one of the most popular methods of website monetization. It involves “RENTING” portions of your website to advertising companies/firms who in turn display targeted banners of their clients in exchange for revenue which would be paid to you on percentage basis depending on the terms of agreement. One of the oldest methods for generating money. You have the site, you have the traffic, and you have all that free space to subtly insert ads from sponsors. These could take the form of a sidebar banner, small pop-ins, or the occasional link at the bottom of the page. Pricing for each can vary. The direct approach is time-consuming, but it allows you to cut out the middle man and maximize the amount of ad dollars you can earn. 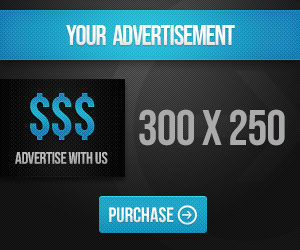 You might charge a flat fee for a month of running an ad. It’s direct, and you’ll know what you’re getting every month. You might be limiting your potential, however. Next, you’ll have to let advertisers know that you’re looking to sell space. You’ll need a media kit, a summary of your site designed to entice potential advertisers. Within your kit, you’ll need to present upfront information on your website’s audience. This means the total number of visitors, their ages, and a gender breakdown. An advertising network (also known as an online advertising network or ad network) serve paid advertising on your website and share advertiser revenue for VALID clicks each time your site visitors clicks on the ads displayed on your website. First-Tier Advertising Networks: First-tier advertising networks have a large number of their own advertisers and publishers, they have high quality traffic, and they serve ads and traffic to second-tier networks. Examples of first-tier networks include the major search engines like Google Adsense and Yahoo. Second-Tier Advertising Networks: Second-tier advertising networks may have some of their own advertisers and publishers, but their main source of revenue comes from syncing ads from other advertising networks. Ad Networks targets both the advertisers and publishers. The advertisers will be the one to pay for their online campaigns, while publishers can join ad networks so that the ads can be displayed on their site and payments can be made based on either CPM or CPC models. CPM is simply an advertising model of which pays on per impression basis. For instance if an ad campaign states $9 CPM, you would be making $9.00 USD per thousand impressions, or 1 cent per ad view. CPC stands for cost per click, and payment is based on the number of clicks delivered from your site. Simply put, in CPM campaigns – publishers will be paid once the ads are displayed. On the other hand, in CPC campaigns – publishers will be paid based on the number of ad clicks generated. For the publishers, the most important thing for them is the ad rates of course – how much will they get out of the ads that were placed on their ads, and will they be paid on time. Some ad networks will accumulate the publisher’s ad revenue till it reaches $50 to $100 threshold, before a payout is processed by the ad networks to publishers. For most of these ad networks, the application process is similar, but not all publisher applications are approved, it is therefore a challenge to website owners to come up with websites that would abide to pre-defined standards regarding site content, design and layout. If your application is successful, you will be given access to an administration page through which you will be able to check your website ad performance, select which ad campaign will you allow to be displayed on your site, payment history and others. For advertisers, the main objective is for their online campaign to be delivered correctly and to the target audience, their brands be protected online and the primary goal is of course ,for the online campaign to generate revenue for them in the real world. Section-2:Affiliate Marketing, Paid Posts, And Native Advertising. Another awesome way to generate revenue through your website is by using any of the afore-mentioned options listed in this section. Let’s take a look at each of them below. Affiliate Marketing:is simply a type of performance-based marketing system in which a business rewards one or more affiliates for each visitor or customer brought or referred by the affiliate’s own marketing efforts. When you become an affiliate, all you need do is find products and services that you love and promote these products/services on your website or blog, by adding an “affiliate link” into posts where you talk about them. When visitors click the affiliate link and make a purchase, you get a percentage from the sales made. As a webmaster, it is very important for you to differentiate which posts are bought-and-paid-for. If you’re upfront with your audience, they may see it as a way of improving the website’s value. For you to make money on the internet, you just have to SELL something. You might have a product or merchandise of your own that you can market. It could be an E-book, Digital product, or a physical product. Furthermore, you might be offering skill acquisition or consultancy services, thereby using your website to build yourself as an authority or expert in a particular niche and charge people who require your services or expert opinion. If you have the time and resources, you can even organise training programs, online webinars and coaching sessions to train others for a fee. By so doing, you are practically SELLING your expertise. Creating free valuable contents and making it accessible to all your readers for free is an awesome strategy and a hidden website monetization strategy. Ok, this is how it works; take for instance you have a software, premium wordpress theme and plugin which costs a fortune and you have written an published a post or review about it on your website and also providing a download link for those interested in making use of that particular item. You can ask politely or encourage your audience to donate whatever they have to the cause, make them understand that their support, no matter how small would be greatly appreciated and would enable you provide them with more premium freebies. . However, it is very important to note that you won’t get everybody to donate. You might not even get half of your audience to donate. If you have a good amount of traffic and strong content, though, you’ll receive enough support from contributing visitors to finance your platform by setting up a donation button on your page to allow users make contributions directly through options like PayPal. Renting out email lists simply involves sending online communication to members of your mailing list on behalf of an outside company or third party. If you have a very robust and active mailing list, email list rental can generate significant income for your business. It’s common for practice for websites to use mailing lists in order to keep customers informed about new products, services and upcoming events. Webmasters may not have realized, however, that they can also earn money by “renting out” their email lists to other companies or third parties. However, just like every other website monetization method, this system has it’s own negatives. When you rent out your email list, you run the risk of annoying clients with silly promotions. In the long run, you might even lose loyal customers who would rather unsubscribe instead of receiving needles communication. Website monetization is fun if you do it the right way. The strategies discussed in this article are the very basics from which all website monetization strategies grow. All you need do is get your site in order first after which income would follow next.. Content is king and as long as your site has great content and lots of visitors, it doesn’t matter whether you want to sell ads, sell T-shirts, digital products or sell the content itself. You’ll be able to do whatever because you have the required audience in place to support your efforts. A thorough analysis of your audience (along with some trial-and-error) will reveal which website monetization methods will work best for turning your web presence into a steady source of extra income. GOODLUCK with your website monetization, and feel free to leave a message if you need assistance of any sort.